Most of the steps in this how to post can be applied to any Kubernetes cluster to get an NGINX Ingress Controller deployed, so you don’t necessarily have to be running Kubernetes in DigitalOcean. DigitalOcean have just officially announced their own Kubernetes offering so this guide covers initial deployment of a basic worker node pool on DigitalOcean, and then moves on to deploying an Ingress Controller setup. Note: If you already have a Kubernetes cluster setup and configured, then you can skip the initial cluster and node pool provisioning step below and move on to the Helm setup part. You could simply do this with the Web UI console (which makes things really simple), but here I’ll be providing the doctl commands to do this via the command line. First of all, if you don’t have it already download and setup the latest doctl release. Make sure it’s available in your PATH. Initialise / authenticate doctl. Provide your own API key when prompted. Right now, the help documentation in doctl version 1.12.2 does not display the kubernetes related commands arguments, but they’re available and do work. Create a new Kubernetes cluster with just a single node of the smallest size (you can adjust this to your liking of course). I want a nice cheap cluster with a single node for now. The command above will provision a new cluster with a default node pool in the NYC region and wait for the process to finish before completing. It’ll also update your kubeconfig file if it detects one on your system. Once it completes, it’ll return and you’ll see the ID of your new cluster along with some other details output to the screen. Viewing the Kubernetes console in your browser should also show it ready to go. You can download the config from the web console too if you wish. If you’re new to configuring kubectl to manage Kubernetes, follow the guide here to use your kube config file that DigitalOcean provides you with. With kubectl configured, test that it works. Make sure you’re in your new cluster’s context. Simply enter the function name and hit enter in your PS session to switch contexts. If you didn’t have any prior clusters setup in your kubeconfig file, you should just have your new DigitalOcean cluster context selected already by default. 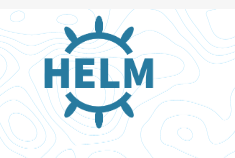 Time to setup Helm. Follow this guide to install and configure helm using kubectl. Now that you have helm setup, you can easily deploy an Ingress Controller to your cluster using the nginx helm chart (package). When you specify the service.type of “LoadBalancer”, DigitalOcean will provision a LoadBalancer that fronts this Kubernetes service on your cluster. After a few moments the Helm deployment should complete (it’ll run async in the background). Open the Web console, go to Networking, and then look for Load Balancers. You should see your new NGINX load balancer. This will direct any traffic through to your worker pool node(s) and into the Kubernetes Service resource that fronts the pods running NGINX Ingress. At this point you should be able to hit the IP Address in your web browser and get the default nginx backend for ingress (with a 404 response). E.g. Great! This means it’s all working so far. Next up you’ll create a couple of very simple web server Deployments running in single pods in your cluster’s node pool. Issue the following kubectl command to create two simple web deployments using Google’s official GCR hello-app image. You’ll end up with two deployments and two pods running separately hosted “hello-app” web apps. A NodePort service will effectively assign a port number from your cluster’s service node port range (default between 30000 and 32767) and each node in your cluster will proxy that specific port into your Service on the port you specify. Nodes are not available externally by default and so creating a NodePort service does not expose your service externally either. Next you’ll want to set up a DNS record to point to your NGINX Ingress Controller Load Balancer IP address. Grab the IP address from the new Kubernetes provisioned Load Balancer for Ingress from the DigitalOcean web console. Create an A record to point to this IP address. This specification will create an Kubernetes Ingress Resource which your Ingress Controller will use to determine how to route incoming HTTP requests to your Ingress Controller Load Balancer. Make sure you update the host value under the first rule to point to your new DNS record (that fronts your Ingress Controller Load Balancer). i.e. the “example-ingress.yourfancydomainnamehere.com” bit needs to change to your own host / A record you created that points to your own Load Balancer IP address. The configuration above is a typical “fanout” ingress setup. It provides two rules for two different paths on the host DNS you setup and allows you to route HTTP traffic to different services based on the hostname/path. This is super useful as you can front multiple different services with a single Load Balancer. example-ingress.yourfancydomainnamehere.com/* -> points to your simple web deployment backed by the web-example1 service you exposed it on. Any request that does not match any other rule will be directed to this service (*). example-ingress.yourfancydomainnamehere.com/web2/* -> points to your web-example2 service. If you hit your hostname with the path /web2/* the request will go to this service. Try browse to the first hostname using your own DNS record and try different combinations that match the rules you defined in your ingress rule on HTTP. You should get the web-example1 “hello-app” being served from your web-example1 pod for any request that does not match /web2/*. E.g. /foo. For /web2/* you should get the web-example2 “hello-app” default web page. It’ll also display the name of the pod it was served from (in my case web-example2-75fd68f658-f8xcd). Congratulations! You now have a single Load Balancer fronting an NGINX Ingress Controller running in your Kubernetes cluster.